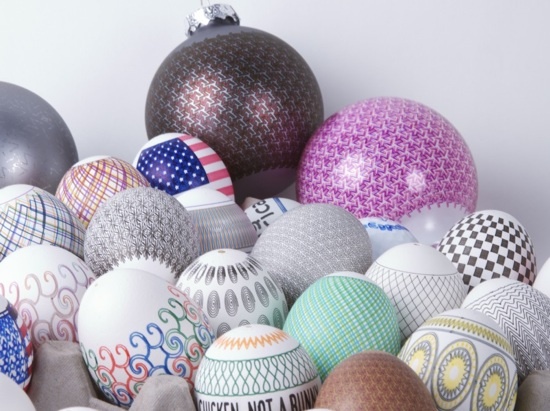 Eastern Eggs -> Egg Designs « Adafruit Industries – Makers, hackers, artists, designers and engineers! 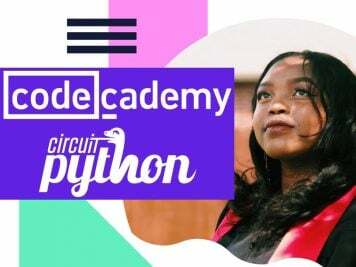 Wow, ad agency TBWA London is doing something very cool, very smart and using OSHW 🙂 Eastern Eggs! We’ve asked some brilliant artists, designers and illustrators to send in their art for the eggs. 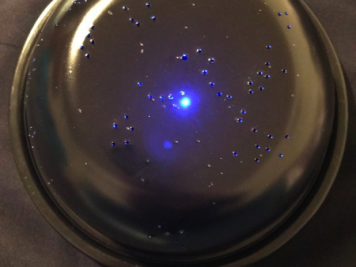 The eggs are pretty special because the designs are drawn on by a little robot called – the egg-bot. The eggs will be made from solid wood and are approx 6cm high. 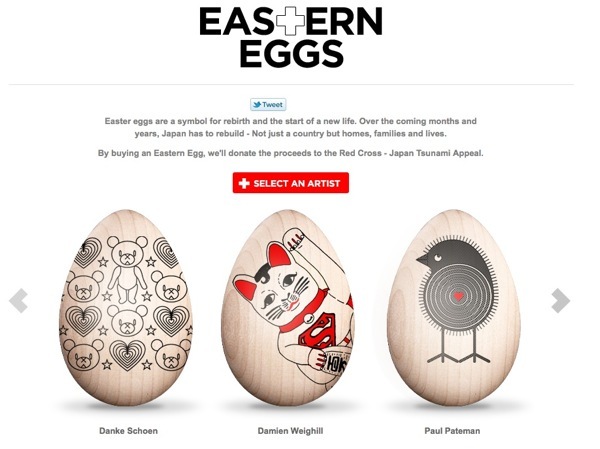 Most of the proceeds from the sale of every ‘Eastern Egg’, will be donated to the British Red Cross – Japan Tsunami Appeal. The Original Egg-Bot! 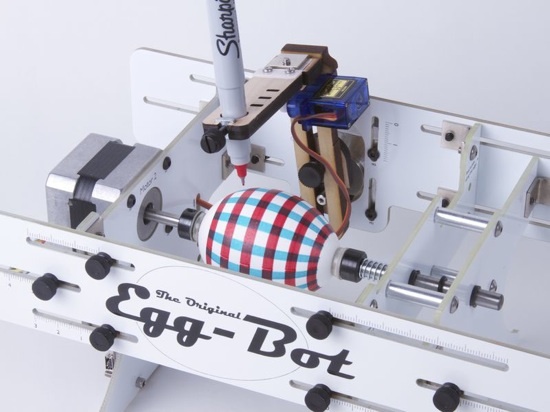 The Eggbot is an open-source art robot that can draw on spherical or egg-shaped objects from the size of a ping pong ball to that of a small grapefruit– roughly 1.25 to 4.25 inches in diameter (3 – 10 cm). 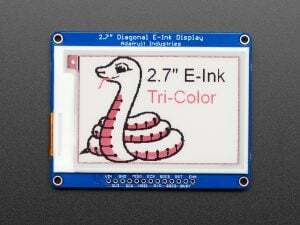 Basic operation is much like that of a printer driver: you import or make a drawing in Inkscape, and use the extensions to plot your drawing onto whatever object you’ve mounted in the Eggbot. 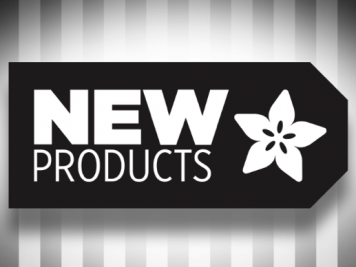 It’s all handled through an easy to use graphical user interface, and works cleanly on Mac, Windows and Linux. The kit is based on the original design by Bruce Shapiro, dating back to 1990. 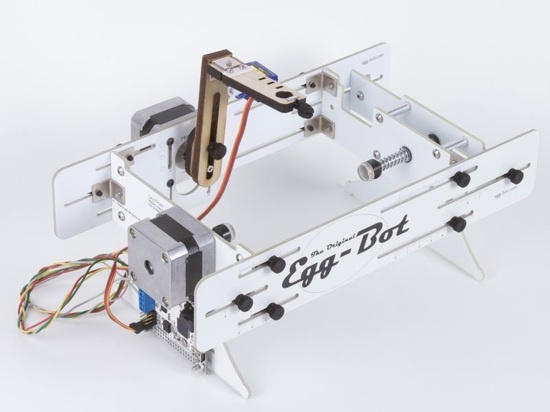 Our version, the “Egg-Bot 2.0,” is a modern and friendly update, designed with the assistance of Bruce and his team.